From goat hair tents manufacturing to a leader in special Steel and Membrane Structures. 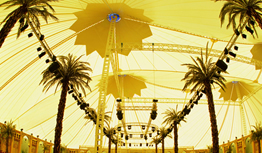 Glamorous Projects all over the Kindgom, goat hair tents, steel structures, structural membranes and more. Location: Arrayed, Saudi Arabia, Date of production: 2006. Location: Makkah, Saudi Arabia, Date of production: 2010. Location: Dammam, Saudi Arabia, Date of production: 2006. Location: Ryaid, Date of production: November 2009. Location: Jeddah, Saudi Arabia, Date of production: 2008. Location: Mekkah, Saudi Arabia, Date of production: 2010.